Ideally, you should change locks once in three to five years. With changes in technology and old locks becoming more vulnerable, you should upgrade or change your locks from time to time. Other than that routine changing or upgrading of your locks, you would have to change them in certain circumstances. Here is a list of the situations that will warrant a change of locks. When you lose the keys to your home or car, you should change the locks. Many people simply get a fresh set of keys made. Often, there is an additional set of keys back home which one starts to use without realizing that the lost keys can end up in the wrong hands. 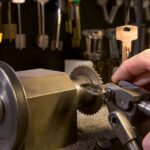 Regardless of where you have lost the keys, whether or not you have an extra set and how new your locks are, you should change them. Don’t send out an invite for thieves and burglars to rob your place. Whether you rent or own a property, always get a new set of locks when you move in. Don’t use the same locks. Replace all of them, even the most insignificant ones. There are times when you may hand over the keys to your neighbors or friends when you are away on vacation. 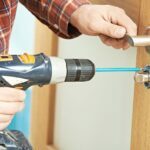 Handing the keys over to repairmen or contractors is also common. Whenever you allow others access to your property and thus trust them with the keys, you should remember that they are not the only ones you are trusting or giving access to. 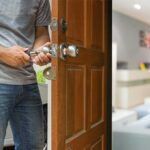 Whoever gets their hands on the keys while those are in your neighbor’s possession or with the repairmen and contractors, will get access to your property in the future. You should change your locks when you get back from your vacation or when the repairmen or contractors are done. If the keys are lost when someone was in possession, then you should definitely change the locks and that too immediately. When your locks are difficult to work, you should think of replacing them. Like all products, locks age and they malfunction. Old locks are very easy to break. Also, you may get locked out due to malfunctioning locks. There are situations when you may find that your locks or keys have been tampered with. Break-ins may not have happened yet or nothing may be stolen yet but tampered locks or keys are a forewarning and you should take it seriously. Protecting your home and family is paramount. Above all else you need to insure that your home is as secure as possible and take every preventative measure to keep your family safe. With a little effort and taking the needed steps to secure your home. Need help or have questions? Contact us about our residential locksmith services now.